This isn't your kid sister's wizard story. At one point, I checked the front and back for author bio because my neck tickled with the thought "is this woman a wizard herself?" A brilliant and understandable "coming of age" tale, with an adult sensibility and keen insight into the human condition of parental expectation, a young person's intense desire for free will and adventure, and the difficult, often painful transition to adulthood. The alternate dimension setting with no Industrial Revolution is excellent to remove the cluttered background of technological whatnot. We focus on the young man, his struggle, his growth. I once threw a segment of Robert Jordan's Wheel of Time series across the room. Actually broke the spine, I'm ashamed to say, but I was so tired of the whining about destiny. Ramage covers well in one book what Jordan couldn't do adequately in a dozen. What a great surprise, and excellent read. 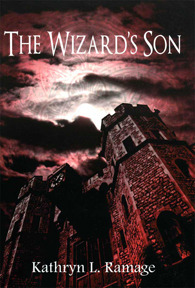 Sign into Goodreads to see if any of your friends have read The Wizard's Son.